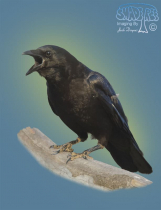 This group (family Corvidae) is comprised of crows, ravens, jays, nutcrackers, and others. As a group, these birds exhibit a high level of problem solving skills. The American Crow is found thoughout most of North America. 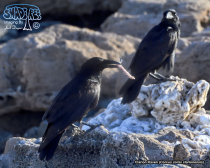 It is similar to the Eurasion Carrion Crom, but can be separated both by range and by their vocalizations. This spectacular bird is native to Mexico from the Pacific Slopes east of Hermosillo, to Guadalajara and Colima. It is believed that the birds living in San Diego are a result of escaped captives that have established breeding territory. 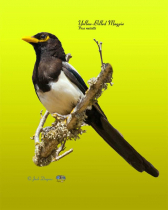 Sometimes called the American Magpie, these birds build large domed structures to nest in. These nests are usually maintained by communities of these birds. 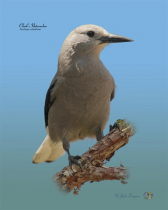 The Clark's Nutcracker is a bird seen in western North America from British Columbia and western Alberta in the north to Baja California and western New Mexico in the south. When visiting their territory, one can usually hear groups of these birds in raucous conversations. The Common Raven is much larger than an American Crow. In flight, the middle tail feathers (Rectrices) are long, giving the tail a wedge shape. Whereas the American Crow's tail is rounded, or fan-like. The Gray Jay has been given many names. In the far north it is know as the Whiskey Jack. Early trappers heard the native Americans call it 'wiska-jon', which they modified to Whiskey Jack. This bird will nest in the coldest part of the year, even in the bitter winters of the far north. 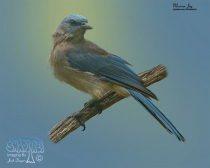 Formerly known as the Gray-breasted Jay, the Mexican Jay will extend their range into southeastern Arizona. 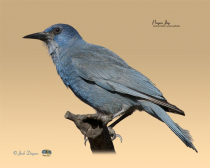 The Pinyon Jay occur in western North America from central Oregon to northern Baja California and east as far as western Oklahoma and will always be found as part of a crowd. 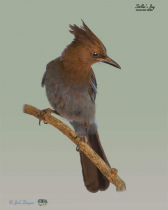 The Steller's Jay is native to western North America. 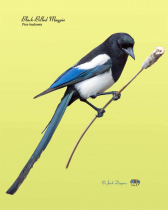 One of the names that was used in past times is "Long-Crested Jay". 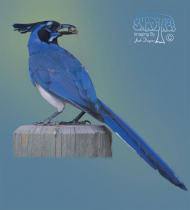 True to its name, the Western Scrub-Jay inhabits areas of low scrub. They range over much of western USA excepting the far northern states. Not as well known in North America as its "Black-Billed" cousins, These birds are exclusive to California's Central Valley.